Our goal again this year was to procure more variety in our Darjeeling teas than we formerly offered. The more traditional weather seems to agree with our current thinking and has helped to produce many delicious teas for 2018. We will have Darjeeling teas with a softer, less astringent flavor profile, and also ones in the more modern, ‘European’ style. So whatever style you prefer – or if you enjoy them all – this is a great year for tea, and Darjeeling in particular. Bob selected Tea Trekker’s 1st Flush Darjeeling teas for 2018 pretty much at the normal time of the spring, and those deliveries arrived mostly by air courier (although a few of them have just recently arrived by surface transport). Check the listings regularly for new additions, and also for the 2nd Flush teas in September. Rohini Tea Estate is another Darjeeling tea garden that has a fascinating tea for us again this year. This tea, the Enigma Gold pluck, is the first-of-the-harvest of the 2nd Flush teas for Rohini Tea Estate in 2018. Prior to last year (2017), we had not sourced an Enigma tea from Rohini Tea Estate since 2012. It is wonderful to have this tea back again for a second year in a row. The Enigma crop is unique to Rohini Tea Estate and is produced 100% from the AV2 cultivar, the cultivar that contemporarily has been ‘wow’-ing most Darjeeling tea tastings for the last 5-10 years. Based on china bush plantings and with some wild, native Darjeeling plant mixed in, these bushes not only thrive in the unusual terroir of the Himalaya, but also have almost all the elements of flavor and style that Darjeeling enthusiasts expect (and want) in their cup of Darjeeling tea. We love finding unusual, limited-production special manufactures that are distinctive and exciting – the ones that encourage all tea enthusiasts to break out of their comfort zone and try new things. We knew that the 2018 Enigma Gold was great as soon as we viewed it – the size of the leaf (very large); the ‘look’ of it (it could pass for a white tea); the smell of the dry leaf as we crumbled it in our palm (classic ‘forest-floor’ but with no mustiness); and then, when we steeped it – WOW this is something that we must have!! It is in some ways similar to the 2017 harvest and yet uniquely its own manufacture – as it should be! When you open a package of this tea you will immediately be excited by it. One sip will show a truly unique and delicious tea – smooth, lightly-syrupy, focused and substantial in flavor, sweet, with a uniquely intoxicating aroma. This tea is solid, bright, and has a smooth flavor that is unusual in a Darjeeling tea. 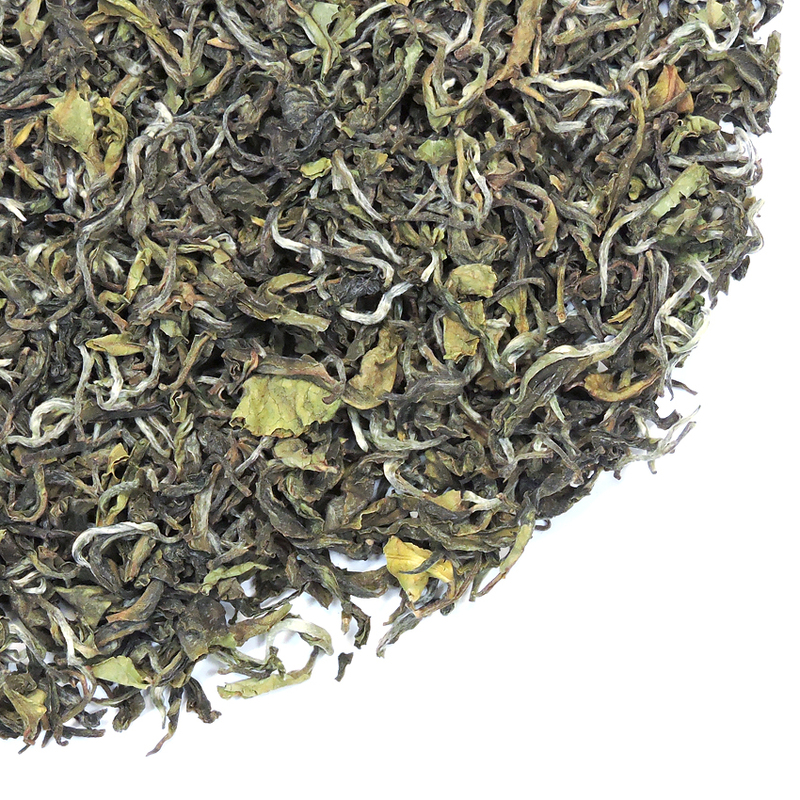 Enigma Gold 2018 stands apart from our other more traditional Darjeelings in that it does not have their usual briskness, and it also does not show the thinness of most 1st Flush teas of recent years. Enigma Gold instead has a mellow, substantial flavor profile. For those who love the easy drink-ability of Nepal, Sikkim or other Himalaya black teas, this tea is a stylish other choice. Only a few Darjeeling growers use China bush varietals today and the AV2 cultivar is known to be an old bush clonal that has adapted to its environment very well. It is an excellent example of terroir, that sense of place that is so important in premium teas and that we go out of our way to find. 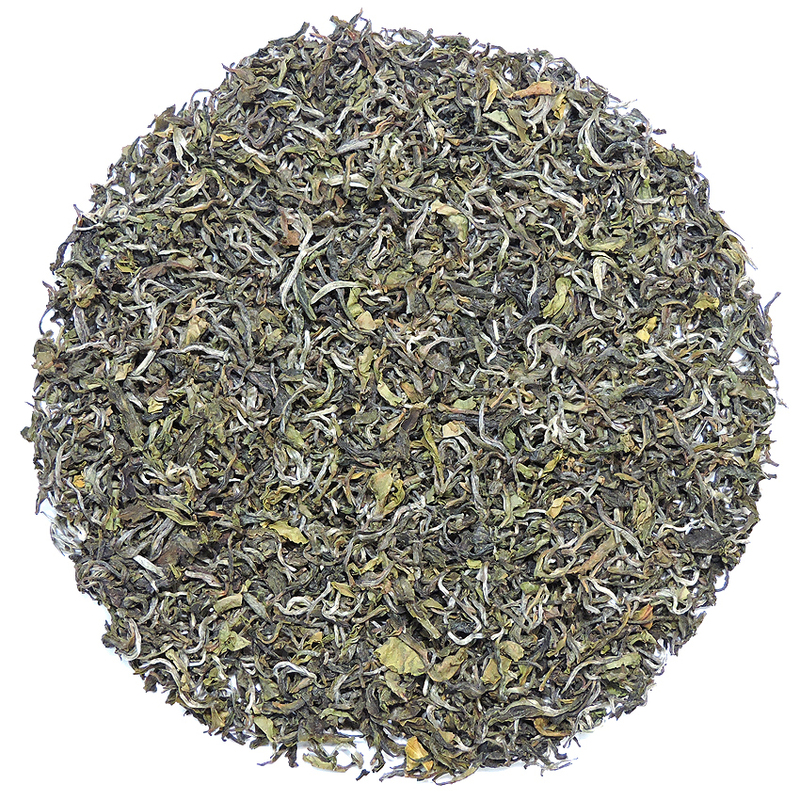 We thought this Darjeeling would be perfect for our enthusiasts who have been enjoying the Himalaya growths from Nepal that we have been offering for several years. Those hand-rolled teas have a similar style to this, but the Rohini Enigma Gold, being a true Darjeeling, also brings to the cup that unmistakable ‘muscatel’ Darjeeling flavor – raisin-y, wine-y and exotically perfumed. If you are looking for a treat either for yourself or someone who fancies the Darjeeling and Himalaya growths, this tea should be high on your list of teas to try this season – who knows whether or not we will have it next season.